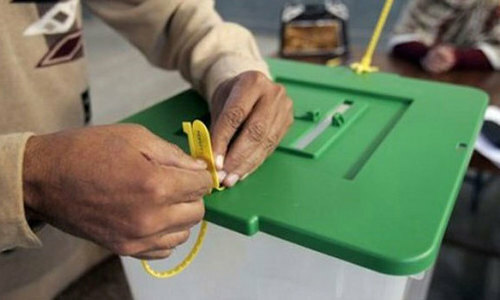 LODHRAN: Voting for the by-poll in National Assembly constituency NA-154, Lodhran, began at 8am Wednesday and continued throughout the day without interruptions till 5pm, with PML-N's Siddique Khan Baloch – who was elected in the 2013 general election from the same constituency but was disqualified by an election tribunal – and Pakistan Tehreek-i-Insaf's (PTI) Jahangir Tareen in the run as the most prominent candidates. With polling now over, counting of votes has begun at all polling stations. In the 2013 general election PTI's Jahangir Tareen was the runner up from NA-154. But in a petition with the election tribunal, Tareen had accused Baloch of possessing a fake degree and committing irregularities during the 2013 general election; the tribunal eventually disqualified the PML-N lawmaker, barring him from contesting election for possessing a fake degree. The Supreme Court, however, set aside one of the tribunal’s decisions and ordered re-election, allowing Baloch to contest again. NA-154 was among the four controversial constituencies — the other three being NA-110 (Sialkot), NA-125 (Lahore) and NA-122 (Lahore) — where PTI had demanded for voters’ thumbprint verification before its street protest against alleged rigging in the 2013 general election. Army personnel were deputed at all the 303 polling stations of Lodhran constituency to provide security during the by-election. District Police Officer Asad Sarfraz Khan told Dawn newspaper that 3,000 policemen and 1,100 razakar were to perform duties at polling stations. He said 47 polling stations were deemed most sensitive. The DPO said voters would not be allowed to carry mobile phones and cameras to the polling stations. There are 419,182 registered voters – 228,870 male and 190,312 female in NA-154 constituency. In the run up to the by-poll, PTI Chairman Imran Khan on Tuesday addressed a public meeting for Tareen in Lodhran and said that instead of accusing the leaders of his party of corruption the government should jail them. "Why don’t you arrest them? I would like to ask the Sharifs that they should arrest them (PTI leaders) if they are involved in corruption," he said. Imran also criticised the government's handling of diesel prices, taxes, its agriculture policy and expenditure. Hamza Shahbaz hit back at the PTI leader in a public meeting for Baloch, saying the PML-N government had initiated several power projects, while the Khyber Pakhtunkhwa had gambled away the money meant for power projects. He also took the opportunity to remind the people of Lodhran that Imran earlier got a stay order from courts against Prime Minister Nawaz's farmers' package for Lodhran. Wondering how Siddique Baloch is still able to contest. Why do we need elections when such people want to come in just using power? @Nadeem What power did he use? He just went to court as did Tareen. And he also won by getting votes! And PTI cant harp on the Dhandli mantra as he won as an independent and defeated both PMLN and PTI ! Or did he do dhandli and use power against PMLN ! @Nadeem it is a slap on our face by these politicians. If Siddque Baloch wins today, it will be a massive slap on our faces. A guy who does not even know the subjects in which he graduated, is a renowned thug in the area. @Junaid I hope your words are true. PMLN has played a clever trick. They have put another candidate whose name is also Jahangir tareen and his voting symbol is a Cricketer. This is done to split the vote. Some illiterate people might vote without looking at the Symbol. And it will result in a vote split. SC, how can you allow fake degree holder? More damage to the this country is attributed to learned people like Jahangir Tareen. Who are we to criticize the electorate if it chooses Siddiq Baloch........... What about democracy being ...system of governance for the people by the people...etc. We all should accept and respect decision being made by people of Lodhran..
@ashmoq This is Pakistan; he has obviously "acquired" a degree in the intervening period. @Naveed - and we deserve these slaps regularly, as to why we vote those people into power, despite knowing they hold fake degree or they are genetically corrupt people. we deserve to have ppp/pmln/anp/mqm rule us till eternity. we the nation (the voters) are responsible for this state of the country and ourselves. no one else should be blamed. @Naveed No bigger slap if tareen wins. @Maajid There is no compulsion to win a degree for contesting elections! As a PMLN supporter, i want Jahangir Tareen to win this seat. 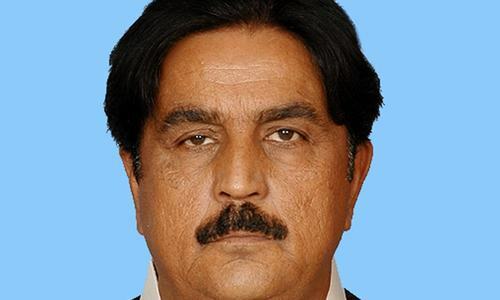 Worst decision of PMLN to field fake degree holder Siddique Baloch to contest such a crucial election. @Altaf he had defeated both pti and the ruling party ! People of his constituency are smart, they know he is much less an evil than Tareen who wants to win by money ! We should learn to respect people's voice ! Pti has still not learnt from their humiliating rejection by people in all recent elections ! Both the candidates are slaps on our face. One has a fake degree and the other is the product of corruption and illegal practices. Jhangeer Tareen is worse in the sense that he is the one of the main leader in PTI and have an influence in politics. How can Supreme court allowed this fake degree holder disquilified person to contest election? @msadiq Fail logic bro. FYI dhandli can be done in pakistan by anyone having power, money etc. Many factors play a role here like status of local jageerdar, wadera, influence in administration, street power, gun power, connections with public servants (serving as election staff). Only 2 things can deliver a fair election in Pak .. that is... severe punishments to violators and bio-metric system. @msadiq dear its not about PTI or PMLN. Its about our system allowing illetrate and fake degree holders to be our Law Makers. The point is hard gauge to go for election again and again despite no changes in results are witness in recent trends. It may either waste of time and money or may be something wrong and missing in the system. Authorities should take time to work out what is missing in the system before restoring same activity. Who ever win the election we must respect the decision of the people. Am I just feeling or its the continued struggle of PTI to put pressure on EC to held free and fair election. I kind of don't see rigging faking allegation compare to last election. @msadiq This guy provided fake degree and u think its normal? In any other country this guy would have been in jail for few years. The country where I'm currently living gives 3 years sentence to jail for providing fake documents. How can court allow him to contest again when he is convicted? Who soever lose, please pick up the phone and congrat the winning candidate to set an example. Tareen seems like winning this time. If Tareen wins the election, will someone be held responsible for the massive rigging that took place in 2013? on election night PTI will be winning, but tomorrow morning could all be different after ECP and PMLN had a go after midnight! @naeem No, you're living in Pakistan not in western countries. Forget about justice. What is the purpose of disqualifying a MNA and then again holding another elections and letting him contest again, just wastage of millions of rupees of poor public. I am not a supporter of any political party in Pakistan, but in this case I really hope the PML-N candidate is defeated. He either has a bogus degree or not. That said, the PTI candidate is not a clean-cut person either - just a lota with lots of cash from 'questionable' sources. So I hope he too loses. As my two requests are contradictory, the voters really have to decide which one is the lesser of two here. Where is justice when one is a proved guilty of forging and still contesting election? @Nadeem I am not sure how much you know about politics, court allowed him to contest ! Fake degree: after all he has the courage to contest again otherwise, murad saeed and ch sarwar etc. of pti are still sitting in parliament with famous qualifications ! You think he has more money than Tareen ! PML-N masters the "art-of-rigging", no credibility for any election conducted under the administration of PML-N.
Would this result also be changed in the last minute in favour of PMLn? 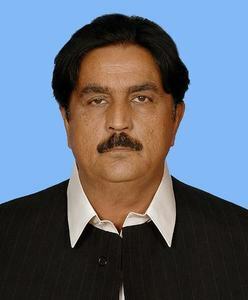 PML( N) rest in peace in Lodhran contest. @logic, Forget about democracy, no system works without the rule of law. We have always had "Jungle Raj" in our country which is based on the survival of fittest.